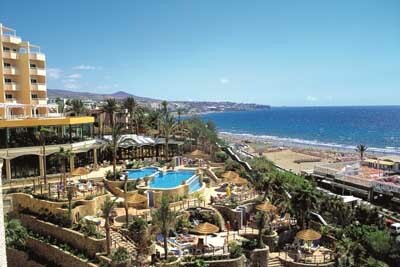 Enjoy the sun and the sea in El Inglés Beach in Gran Canaria. 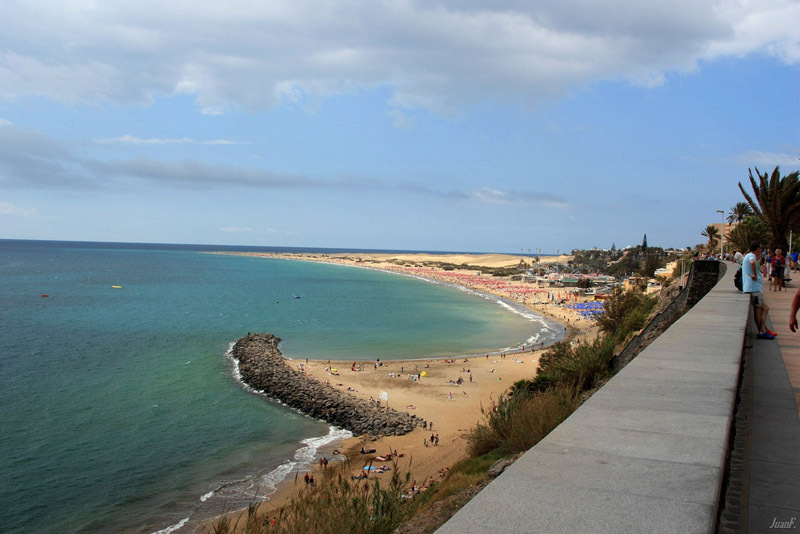 The Playa del Inglés Beach is located in Maspalomas in the municipality of San Bartolomé de Tirajana, Gran Canaria. This beach is located in one of the most lively areas on this island. Around here you’ll find hotels, shopping centres, apartments, restaurants, shops, among others. The El Inglés Beach is prepared to better fulfill tourist’s needs. This is a wide golden sandy beach next to the Maspalomas Beach. Actually these two beaches are just one beach with several kilometers wide, only with different names. 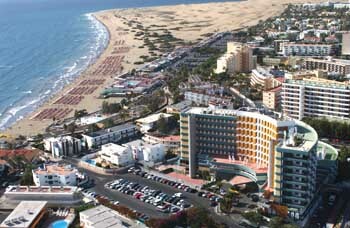 Maspalomas, San Bartolomé de Tirajana, Gran Canaria. Parking, showers, hammocks, bus stop, lively promenade.